Dan Ryan Builders is pleased to provide our employees with the following benefit plans. Participation in these plans is subject to eligibility requirements. 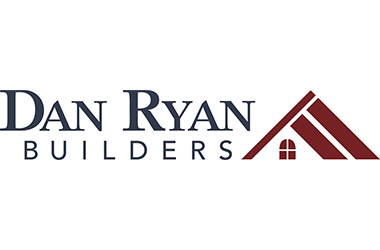 MEDICAL INSURANCE, DENTAL, VISION , HEALTH REIMBURSEMENT ACCOUNT (HRA) and PRESCRIPTION PLANS - Dan Ryan Builders (DRB) currently offers regular full-time employees health plans. LIFE INSURANCE DRB provides a Basic Life benefit to eligible employees. GROUP LIFE INSURANCE / ACCIDENTAL DEATH AND DISMEMBERMENT DRB offers full time employees Voluntary Life & AD&D options if they want to purchase additional coverage. SHORT TERM / LONG TERM DISABILITY DRB offers the option to purchase Short-Term and Long-Term Disability coverage to full-time employees. DRB ENTERPRISES, LLC 401(k) RETIREMENT PLAN The DRB 401(k) retirement plan is a tax-deferred program to which both participating employees and the company contribute once eligibility requirements have been met. FLEX SPENDING PROGRAM Full time employees are eligible to participate in a Flex-Spending Program and the tax saving benefits of a section 125 Cafeteria Plan. If elected, the account can be used to pay eligible medical expenses. COMPANY HOLIDAYS DRB provides holidays to all eligible full-time employees. PAID TIME OFF (PTO), The Company recognizes that employees have diverse needs for time off from work and in doing so the company has established a policy to meet those needs. Eligible employees can earn leave to use for taking time off. DAN RYAN BUILDERS EMPLOYEE PROFIT SHARING PLAN The Profit Sharing Plan is designed to ensure that employees can share in the company’s success. Eligibility is defined in plan documents. TUITION REIMBURSEMENT Dan Ryan Builders offers eligible employees tuition reimbursement for job related courses so employees can further their education. DIRECT DEPOST AND SELF SERVICE The convenience of direct deposit paychecks is available to employees. The service is convenient , confidential and free. Unless otherwise stated or legally required, employee benefits described in this summary are only available to employees who meet the specified eligibility requirements for each benefit and are not employed on a temporary or part-time basis. Our group insurance programs are described in detail in the Summary Plan Description booklets provided to new hires. If there is any inconsistency between this flyer and the actual insurance contracts, the contracts will govern. Benefits are subject to change with or without notice to employees. The benefit plan year runs from August 1st through July 31st.